And now I’m working on an Antipodean version as I’ve been asked whether I could make an Echidna! Lovely picture…. we tend to meet the real ones when alerted by our dogs… by which time they are tightly curled! Thank you… although eyelash yarn is not my favourite to work with! 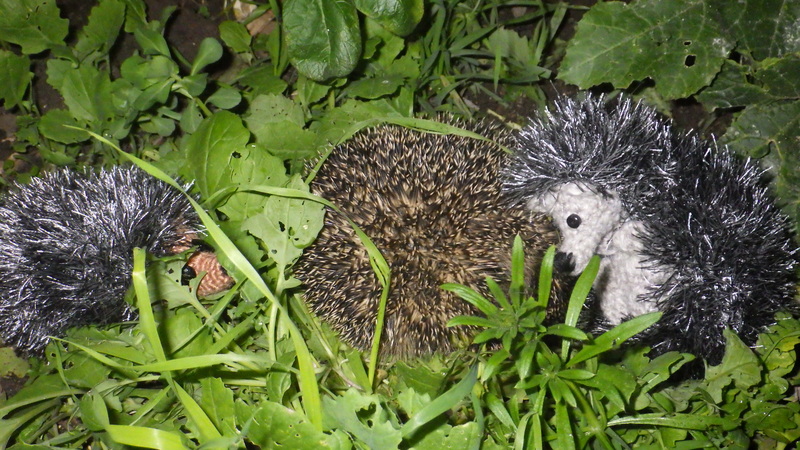 Love the hedgehogs…what is a Echidna? Keep up the good work! Fortunately, Mine behave themselves and keep their kit on!! Very cute! I assume they are knitted?? In fact, they are crocheted… currently the only thing I’m knitting are socks!! 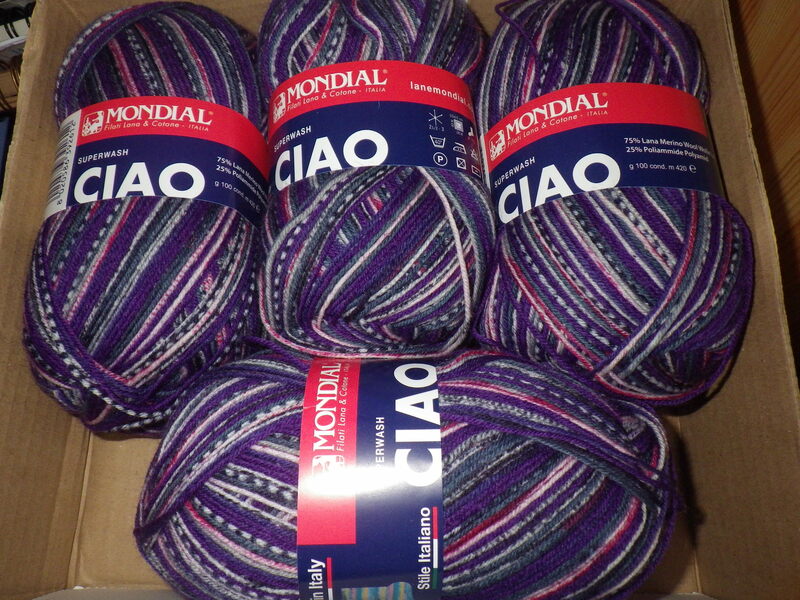 I can’t believe they sent me all that sock yarn… I reckon there’s enough for five pairs at least! I think I like Shy best because of an overwhelming urge to tickle the tummy; something to do with the pose? Shy is very squishy, so it’s possible to make him curl right up, which is very cute. In addition, he has a belly button! Awwwww! I do think an echidna will be very cute too. I really like Spike, who fully deserves to be on the front page of many, many knitting publications, not to mention others. Glad you got some prize yarn! Of course the buyer want both!! It would be impossible to choose one, and leave the other! Perhaps I’m better at marketing than I think!! The spikes are wonderful, what wool did you use please? The spikes are made using Ice Yarns Eyelash in black and white – I’m thinking of ordering some from the US in bulk as it’s not easy to get hold of here in the UK.